Our company is delighted to offer remarkable Bus Rental Services in Goa to our valued clients. To ensure that our travelers get the best transportation during their journey, we offer varied Buses on rental basis in Goa, with justified price tag. 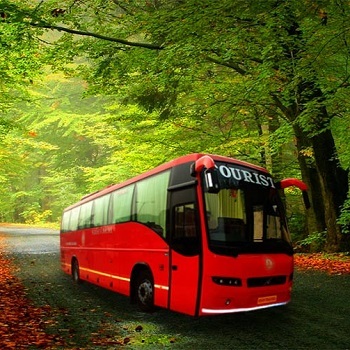 Our specialty lies in providing various buses like Volvo buses, mini buses for transport as per the preference of the customer and making sure that drivers of these buses are experienced with the routes they travel as well as well behaved and conversant in different languages so that your travel is comfortable and satisfied. We arrange for both A/c and Non A/c Coaches as per the requirements of the clientele. So book our budget bus rental services in Panaji, Goa that is inclusive of insurance and taxes.